This is a tale of two syrahs. No, not a sirah and a syrah but two syrahs! When I first heart about David Cole’s wine, he was working on another project called Redline, which I bought through my friends at WineQ. I knew then they this guy had talent, and I was very excited when I found out that he had started another project, James David Cellars. Now, I’ve already reviewed the Muscat Blanc here, and you probably already know that I adore syrah. But let me tell you WHY I adore syrah. The vast differences in growing regions here in California, produce some unique and interesting syrahs that differ as much as Hetch Hetchy tap water differs from sulfuric spring water from the spa at Bath. Syrah, which is certain southern hemisphere countries, or maybe even in Canada is referred to as Shiraz is a dark-skinned beauty which produces powerful red wines and luscious rose wines. It has a long and illustrious history as one of the primary Rhone varietals of southern France, but it’s origins are dubious at best. As near as we can tell, Syrah is the child of some grapes that I’ve never heard of, which are native to a small area in southeastern France, making Syrah one of the original Rhône grapes. 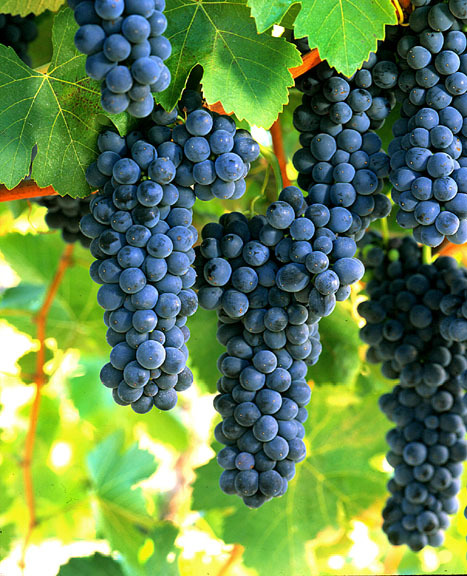 Syrah here in the US is typically one of two types, warm climate, or cool climate. Now these are very different types of wine, and it’s fun to compare the two side by side to see the difference. In warmer regions, like Paso Robles, it can often be blended with other Rhône varieties. One example, and a personal favorite, is a GSM or Grenache, Syrah, Mouvedre blend. The cooler coast and mountain growing regions tend to produce more single varietal syrah.